Customized event or concert tickets. Don’t go anywhere else for the printed tickets your next event needs. 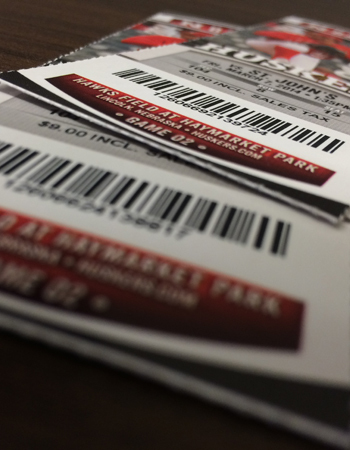 If you need raffle tickets, stag tickets, roll tickets or custom tickets, we’ve got you covered. Just tell us what you want and how you want it, give us as much information as you can.